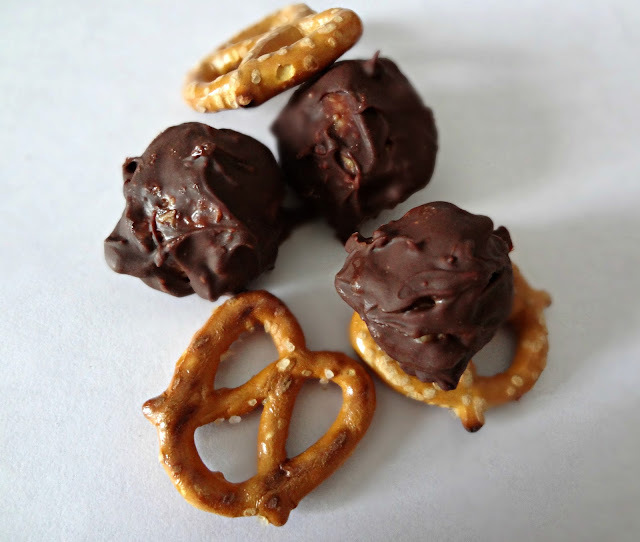 The Cooking Actress: Guest Post at Whipped Baking--Peanut Butter Pretzel Truffles! Mmm I love salty-sweet combos. Chocolate covered pretzels are my hands-down fave! These look great. The combo of salty pretzels and chocolate is my absolute favorite. Heading over there now. Great guest post, K! I think adding pretzels was a fantastic idea. Whipped is one of my faves! Pretzels and choco really go well together. They tend to balance each other out making a real great treat that amazes my palate. This is definitely a must try! Oooh, yum! I bet these are amazing. I must make these. Yum, heading on over to get the recipe! Thanks again for the DELICOUSSSSS guest post Kayle! !